This workshop explores hands-on approaches to building equity and meaningful inclusion at the interpersonal and institutional level. 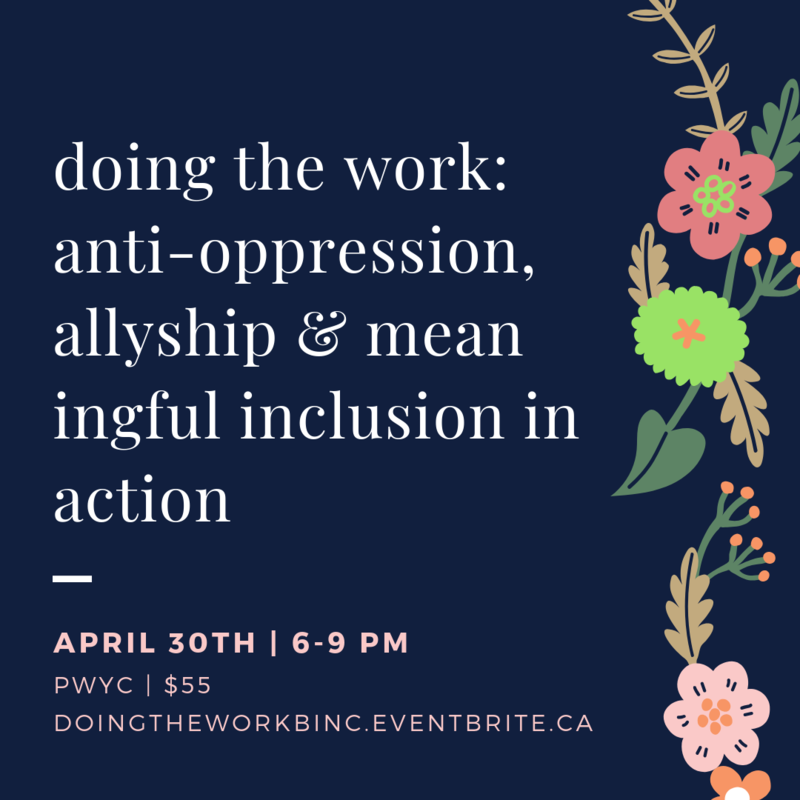 This workshop will foster critical thinking about anti-oppression allyship and models of organizing and alternative ways of knowing and being will be explored, critiqued and applied. This workshop will employ multidimensional strategies to transform the dynamics of power and privilege. This workshop is ideal for individuals/organizations looking to address inequities within their team dynamics, their work and at the systemic level. Participants should have a strong working knowledge of anti-oppression before engaging with this workshop.